Some of us are having issues getting our prompt responses out. SherriD is not one of them. Check out her recent responses. She is doing a number of responses in FABRIC on one piece and it is wonderful. Did you join the Flickr group? …and some thoughts on donation quilts are posted at Mary’s Art Musings. 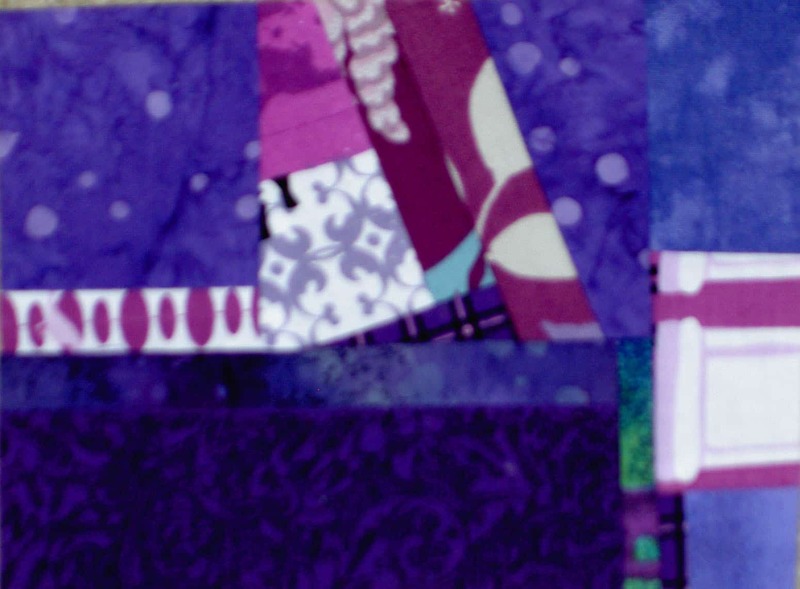 Mary makes some really good observations about the repair of a quilt and has some great tips on making donation quilts. We will definitely be taking these into consideration as we make the Stars for San Bruno quilts. Quilt Rat celebrated my 100th prompt. She also posted her response. Kathy from Finishing Lines talks about getting her quick sketch prompts from AQ. Sweet Leaf suggests you find creative prompt inspiration here! Vicki’s Field Tripping the Web celebrated the finishing of the Cheerful Baskets, , the finishing of the Chocolate Box, and the finishing of the Fabric of the Year 2009 quilt. Vicki also posted about my Zig Zaggy tutorial, which I greatly appreciate. Thanks for the links, all! I started another piece of scrap fabric in anticipation of making another journal like the Red Journal. It will take while to make a big enough piece from scraps, but a person has to start somewhere.